Pascal was introduced to me by a mutual friend, Philipe. Pascal is the owner and winemaker of Domaine Laffourcade and Chateau Jouannet in the Loire Valley of France. His wines are imported by Langdon Shiverick. I tasted these wines at the beginning of October, and what a treat to start the month of Halloween. Aromas of sausage, cassis and violets. Spiced licorice, plenty of earth and turned soil, and finishing with a stoney mineral flavor in the mid-palate. 30 hectares of schist soils produce 6,000 bottles. White made with Chenin Blanc. Aromas of wool, Pear and some petrol notes. Honey and floral tones. Fresh and Crisp in the palate, with a refreshing finish. Also produced in Schist soils. Different from the previous in that it is produced in small oak vats and without the use of new oak. All from a single vineyard. A lot more intense honey and apricot aromas. It is richer and fuller in body with a toasty yet vibrant finish. 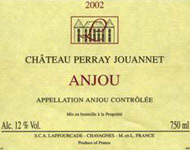 Dessert wine made with Chenin Blanc. Intense aromas of bees wax, fresh honey. In the mouth it is soft and bright. Made of young vines from l’Echarderie, it is sweet but not cloying. Deep gold color, pineapple and bees wax aromas. Caramel, orange and tangerine skins. Powerful structure and great acidity. Infected by Botrytis and produced in plastic, then stainless and finally in oak barrels. Again, bees wax aromas, paraffin and pineapple, apricot flavors. Bright light to medium body and finishes nutty. Has a deeper and more golden color. Candle wax, and over ripe apricot. Medium bodied with an extremely long finish with excellent acidity. Although there are 100 grams of residual sugar, it does not come across. Still remains fresh and lean. Deep golden color with an oxidized tinge to the rim. Intense overly ripe peach and apricot, honey and hay. Stony minerals with a long finish. It is more cloying, however it retains a zing of acidity. 180 grams of residual sugar.